It has been 27 years since the Muslims were forcibly evicted from the Northern Province by the LTTE and have been living in the Puttalam district in many IDP camps in vulnerable conditions. The end of conflict in May 2009 brought a new hope for the resettlement of Muslim IDPs. However both the Sri Lankan government and international community prioritized the Tamil IDPs for resettlement and sidelined the Muslim IDPs from it. This has led some Muslim IDPs to go back to their places of origin voluntarily. The former Resettlement Minister, Rishard Bathiudeen was able to negotiate with some Islamic organizations and they agreed to provide some houses for this marginalized Muslim IDPs. In 2012, Muslims in Marichukatti in Mannar district began their resettlement process with the support of Qatar foundation. Since then some Buddhist monks and media groups began to accuse their resettlement and claimed it was an illegal act and violation of Wilpattu national forest. From the Muslims point of view, these are the lands where they lived over 100 years even before the conflict start and they hold their deeds (legal documents) to prove the ownership and right to live in their own place. The prolonged armed conflict which started in 1983 between the Sri Lankan government and the LTTE killed around 90,000 people and left over 1 million IDPs from three ethnic groups: Tamils 82%, Muslims 14%, and Sinhalese 4% (UNHCR Report. 2009). In 1990, the LTTE forcibly evicted around 15,000 Muslim families from the Northern Province in five districts: Jaffna 3,475, Mannar 8,200, Vavuniya 1,800, Mulaitheevu 1,000 and Kilinochi 525 (Ibid. 2009). The displaced Muslims moved mainly to the Puttalam district and have been living there as IDPs since then. The IDP camp life is very pathetic and they have been facing various problems in their daily lives. The life in IDP camps have de-moralized men, women, children and elderly people and affected them physically, psychologically, socially, economically and educationally. Photograph was taken by the author, this is an ancient Mosque built in 1938 located in Marichukatti but presently within the reserved forest boundary. The end of conflict in May 2009, brought a new hopes for the resettlement of Muslim IDPs, but the Sri Lankan government and the international community prioritized the Tamil IDPs and side lined the Muslim IDPs from the resettlement process. This has led some Muslim IDPs voluntarily to go back to their homes. The former Resettlement Minister Rishard Bathiudeen was able to negotiate with some Islamic organizations and they agreed to provide some houses for this marginalized Muslim IDPs. In 2012 Muslims in Marichukatti began their resettlement process with the support of Qatar foundation (Al-JASSIM). Since then some Buddhist monks and media groups began to accuse their resettlement and claimed it was an illegal resettlement and violation of Willpattu forest, though the Muslims hold their deeds to live in their own place. The issue is little complicated and not many understand what exactly happens in Wilpattu. In fact, the Villages: Marichukatti, Karadikkuli, Palakuli, Kondachi are some border villages of Mannar district and located very closed to Willpatu national forest. Due to the conflict and absence of people all these villages forestified and looked like a forest. 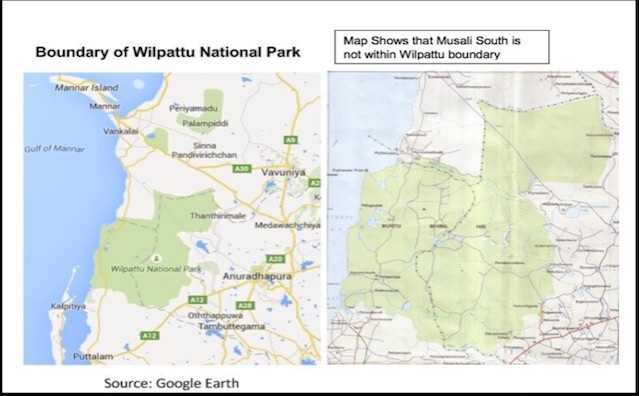 In 2012, the former Environmental Minister Anura Priyadarsana Yapa extended the length of Wilpattu and decalred all these neighboring villages as a part of Wilpattu national forest. Since then, Forest department, environmental people and some media personal began to accuse the resettlement as a violation of Willpattu forest. Mean time, the people who hold their deeds (legal documents) argue that it is our own land and we are entitled to live here. 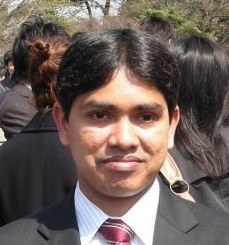 In fact, this is a legal issue between the victimized people and the Sri Lankan government. The Resettlement of Northern Muslims IDPs still remains unresolved. Many factors were attributed for the present status. There are four main challenges have hindered their resettlement. First, there was no substantial plan from the Sri Lankan government for their resettlement. Second, a significant part of the land that belonged to Northern Muslims were conquered by the LTTE and given to Tamil people during the conflict. Third, the housing assistance was inefficient. In fact, the Indian government allocated 50,000 houses for the IDPs but it was not clear how many houses were allocated for the Muslim IDPs. Finally, there was a lack of initiatives targeting the Muslim IDPs as beneficiaries of the post-conflict resettlement projects managed by the Sri Lankan government or the international organizations. In fact, the Sri Lankan government and International organizations focused primarily on the resettlement of Tamil IDPs. From the Sri Lankan government‘s point of view, the resettlement of Tamil IDPs were more important than that of the Muslim minority as it can reduce the tension between the Sinhala and Tamil ethnic groups which were central to the war. Parallel to this, international organizations and donors have pressured the Sri Lankan government to resettle the Tamil IDPs. Apart from this, there is no media coverage or any pressures from the civil society or any media groups. Marichukati is one of the ancient villages which is located in the Musali divison of Mannar district. In 1989, there were around 200 Muslim families lived in this village. In 1990, they were forcibly evicted by the LTTE and moved to Puttalam and lived there in the past two decades. In 2012, some Muslim IDPs, 73 families return to their original place and began to build houses and engaged agricultural activities with the support of Qatar foundation. Resettlement of Muslim IDPs in Marichukati village viewed by the media (Hiru TV) as an illegal settlement and violation of Wilpattu national forest. However, the former Resettlement Minister, Rishard Bathiudeen continuously saying that there is no illegal settlement or any single violation of Wilpattu national forest. Even he openly stated that if anyone can proof it as an illegal settlement or violation of Wilpattu he is ready to step down from his Ministrial post that he holds in the present government. However there is no such attempt made either from media or any respective organizations up to now. But criticism is going on without any base. The author of this article visited two times to this place and witnessed what is happening there. It seems that the Muslim IDPs who went back to their previous home in Marichukatti faces lot of issues regarding the resettlement and livelihood. Resettlement is very challenging even within their own land which was belonged to their forefathers over 100 years. There are some remaining (old mosque, school and broken houses, etc) which shows that earlier there was a Muslim settlement. Moreover, almost all residents in Marichukatti village hold their legal deeds which show they are legally entitled to live in their home. In fact, the accusation from media and disturbance from wild life authority is a violation of fundamental rights of this Marichukatti people. One Muslim IDP pointed out that when he went back to his home in Marichukatti after 25 years, it was fully occupied by the Navy and they are not giving his home back to live there. Further he pointed out the Navy forces has built a small Buddhist temple for their religious purposes inside his land, but in the future they may claim that there were some Sinhala settlements in the past based on this recently built temple. Likewise, there are many other issues have to be discussed and short it out in order to continue the peaceful resettlements. The overall conclusion of this article is that the resettlement of Muslim IDPs in Marichukatti was manipulated and misguided by the media and some Buddhist monks. The Sri Lankan government which is responsible to protect its own people also overlooked and sidelined the Muslim IDPs on this issue. The tension and rhetoric is growing between the wild life authority and former Resettlement Minister Rishard Bathiudeen (on behalf of villagers in Marichukatti). Moreover, there is a party politics also on this issue, up to now there is no statement or any action taken by any Muslim political parties except All Ceylon Makkal Congress (ACMC) and its leader Hon. Minister Rishard Bathiudeen.